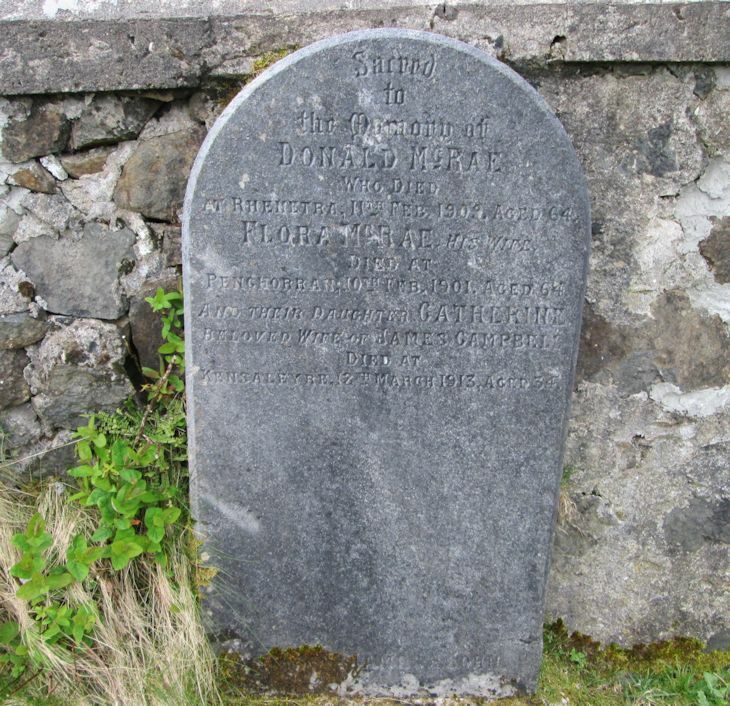 Skye Gravestones | Donald & Flora McRae, d. Catherine Campbell. Donald & Flora McRae, d. Catherine Campbell. Sacrd/to/the memory of/DONALD McRAE/who died at Rhenetra 11th Feb. 1909 aged 64/FLORA McRAE his wife/died at/Penchorran 10th Feb. 1901 aged 64/and their daughter CATHERINE/beloved wife of JAMES CAMPBELL/died at/Kensaleyre 12th March 1913, aged 34. Erected by JAMES & JOHN.